Happy New Year from all of us to all of you. Thank you for reading and encouraging and commenting and being so supportive of us for so long. We can not tell you how much fun this blog is for us to keep everything on and to remember and to share. We cant believe that people really want to read our cheesy stuff sometimes, but we are truly truly so thankful that you do. Here's to the best 2014 we can imagine! 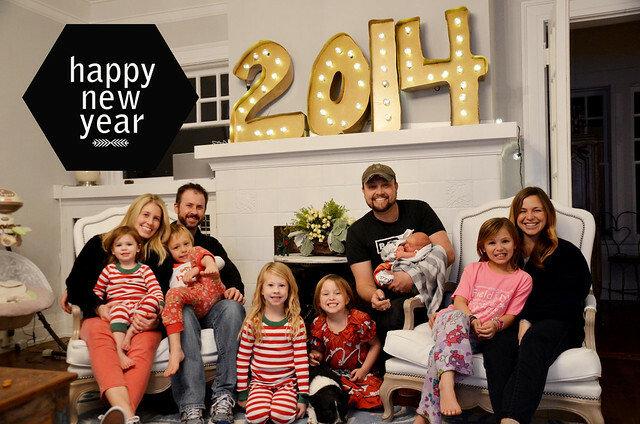 Yay for your families getting to ring in 2014 together! I can't wait to read what this year has in store for all of you! (Oh sweet shea!) Happy New Year! !